Lavender, Lavandula species, (also known as Elf Leaf, Nard, Nardus, and Spike) is a well known herb and I just felt like refreshing some people’s memories and learn a bit myself. Magickal Uses: I will not write about the love spell uses because I believe them to test the boundaries (strongly and even break them in some cases) of manipulating another’s free will. Lavender can be used in many ways, including in protection amulets against your spouse, in purification through smudging and baths and in purification rituals, in healing rituals and amulets and sachets, to promote peace and love and joy in, to induce sleep whether in tea or incense or sachets, as an aphrodisiac for men, alleviate stress, bless ones home, and as a mood lifter (even said to lift depression though I have no testimonial myself). 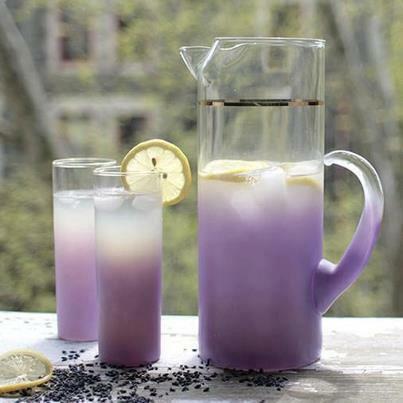 Medicinal and other Benefits: “LAVENDER TEA ON ICEThe beneficial constituents of lavender include flavonoids, tannins, courmarines, and essential oil containing camphor, geraniol and linalool. Gardening Notes: “It’s low maintenance and drought-tolerant, once established. It attracts bees and butterflies but is deer- and rabbit-resistant. It can be used in cosmetics, medicine, and cuisine. 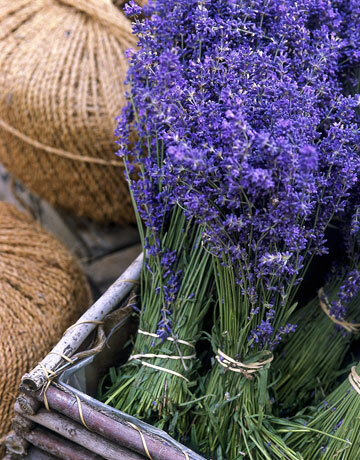 … Enjoy the fragrance of lavender year-round by drying this beloved herb. To preserve, hang small bunches upside down in a dark, dry room until the moisture has evaporated. … It thrives in hot, sunny locations with well-drained, alkaline soil.” To extend the season, combine several varieties. Hardy Lavandula angustifolia, or English lavender, blooms early and is adaptable to cooler, more humid areas. Hybrid varieties, such as ‘England’ and ‘Silver Frost’, enjoy a longer blooming season, as do Intermedia French hybrids, including L. x intermedia’Grosso’ and ‘Provence’, which also flower late and are especially treasured for their perfume. … Lavender needs well-drained soil to flourish. If your soil is heavy, amend it by adding one part sand and gravel to one part native soil, and plant in berms to further help with drainage. … When cutting lavender, clip where the foliage begins. In mid-spring, prune winter damage and cut back about a third of it to keep it from getting leggy. … Lavender does well in pots. Choose a well-draining potting soil recommended for containers. Fertilize organically every other week. This entry was posted in Roses (Plant Category), Uncategorized and tagged Benefits of Lavender, Country Living, David Salman, Gardening, Growing Lavender, Lavender, Magickal Properties, Medicinal Benefits, Natural Living Forum, Roses (Plant Category). Bookmark the permalink.